Chrichton's World: Review Lost After Dark (2014): Failed attempt in recreating 80's horror flick! 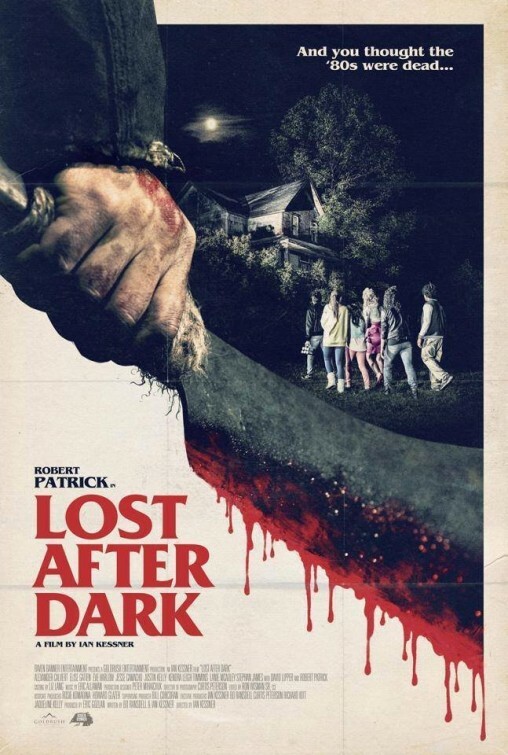 Review Lost After Dark (2014): Failed attempt in recreating 80's horror flick! Normally I would be more forgiving for any movie that pays homage to the Eighties. But then you really have to add something fresh or fun to keep it interesting. While Lost After Dark does try to build up tension it somehow fails to recreate the real terror that slashers like Halloween brought us. Far too much attention is paid to the characters without adding red herrings or substance. It takes it's sweet time to expose them as well. I was so bored that I fell asleep. For me that is real rare. Normally if I feel tired I simply don't start a movie or pause it if it would hinder my viewing pleasure. At the beginning of the film I felt real psyched and excited and was full of energy. So it was the movie sucking the life out of me. If a movie with runtime of 85 minutes can do that then you know that something is wrong. And to be honest I can't pin point the exact moments that I thought were bad. However there weren't real moments that were strong or stood out. Apart from one curious surprise there were none. Everything was by the book even the ending. I would have overlooked that if the film managed to do something creative or actually scared me in some way. Even the deaths were unimaginative and forgettable. Maybe Ian Kessner (writer plus director) thought it was enough to make it resemble an Eighties horror film and did not think about adding something of his own. Only then he does forget that most Eighties horror flicks (especially the good ones) had something unique about them. I truly wished I could tell you this film was great. I was really rooting for it to be. And even Robert Patrick gave his blessing. He was freaking hilarious. But then they did something that was so pointless that I wonder if it is done on purpose or that Robert Patrick himself requested it. If it was done intentionally then I think Ian Kessner is even more inexperienced than I thought and he really needs to brush up on his qualities as a writer and director. Overall I can't recommend this. It will be a waste of your time and I think you will be better watching real Eighties slasher films.